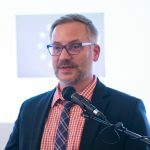 I am a Professor in the Department of Political Science, recipient of a second Jean Monnet Chair (2018-21), and Director of the Center for European Studies. My research and teaching focus on European Union (EU) politics, with a special interest in comparative political institutions, legislative studies, political parties, elections, and social network analysis. I am currently working on a book on multilingualism in the institutions of the EU, titled “The Language(s) of Politics: Multilingual Policy-Making in the European Union,” as well as several papers on legislative networks. Previously, I published a book titled “Bridging the Information Gap: Legislative Member Organizations as Social Networks in the United States and the European Union” (University of Michigan Press), with Jennifer N. Victor (George Mason University). It examines voluntary, issue-based, cross partisan groups of legislators (such as caucuses in the U.S. Congress and intergroups in the European Parliament) in a comparative perspective. My first book was “Who Decides, and How? Preferences, Uncertainty, and Policy Choice in the European Parliament,” with Oxford University Press (2010). My articles have appeared in the American Journal of Political Science, the British Journal of Political Science, Legislative Studies Quarterly, European Union Politics, the European Journal of Political Research, the Journal of European Public Policy, American Politics Research, and Zeitschrift für Politikwissenschaft (ZPol) – Journal of Political Science. I tweet intermittently (@NilsRinge), mostly about politics and sometimes about soccer.